The Surefire EB1 LED flashlight is a compact ultra high output flashlight. This light uses Surefire's TIR (Total Internal Reflector) lens and puts out a true 200 lumens of light. 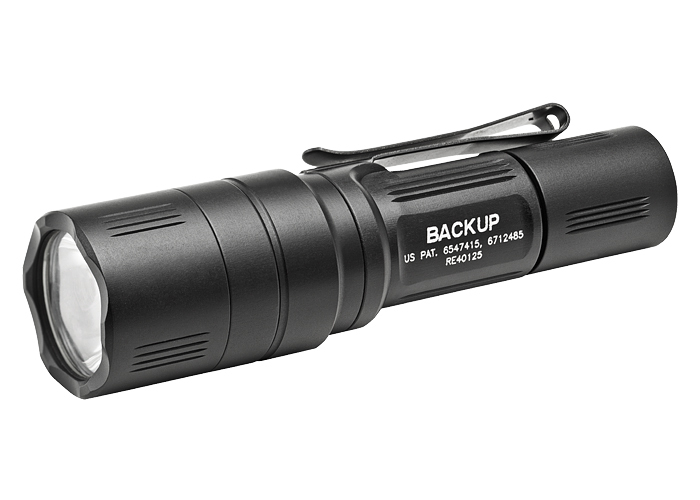 By using a single CR123a battery this light is small and easy to pocket carry. The fit and finish of this light speaks to its American craftsmanship. This light CAN NOT be shipped outside the U.S.A.
Best Use This light the perfect every day carry light. It fits well in a pocket or purse and puts out a ton of light for its size.